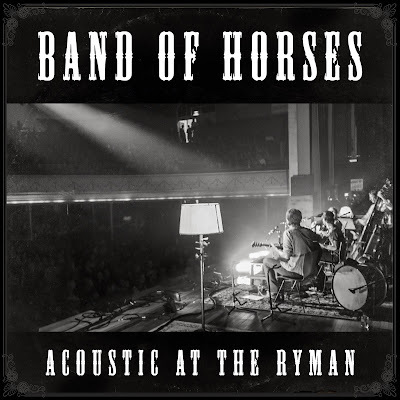 Discussions Magazine Music Blog: BAND OF HORSES/Acoustic At The Ryman: Available February 11th, 2014! 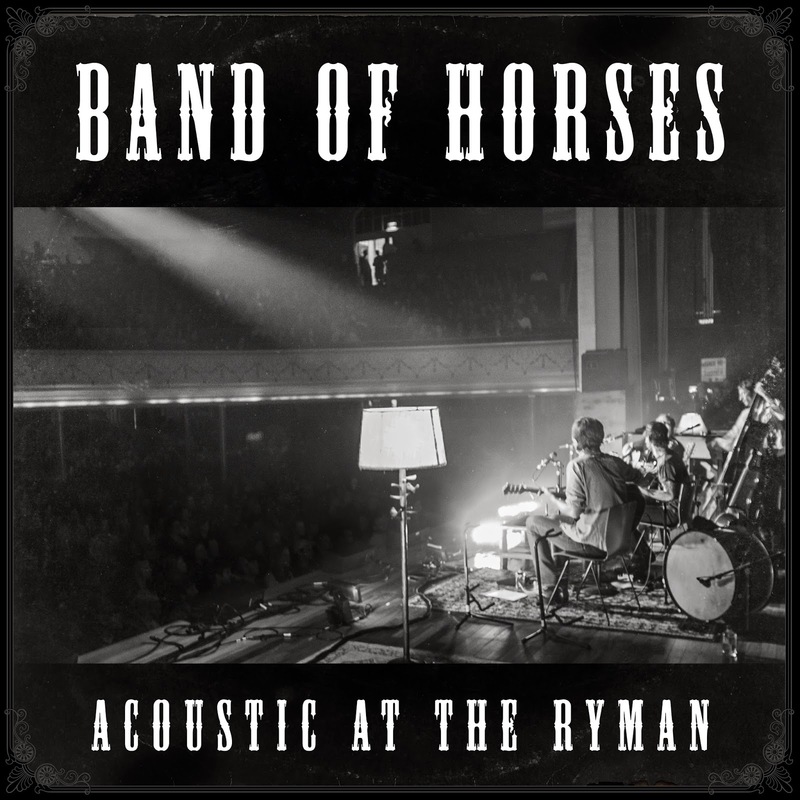 BAND OF HORSES/Acoustic At The Ryman: Available February 11th, 2014! Men with cool girlfriend’s and wives, REJOICE! Band of Horses has just armed you with the perfect Valentine’s Day Gift: Acoustic At The Ryman – a 10-song virtual “greatest hits” set of acoustic renditions of songs from across the BOH catalog, recorded at Nashville’s legendary Ryman Auditorium over two magical nights in April 2013. Having captured this two-night stand's worth of singular performances that the NASHVILLE SCENE said "brought to mind the best efforts of Eagles and Crosby, Stills and Nash," Band of Horses set about translating the energy and electricity of The Ryman document into the closest possible experience to having been there. Using the latest hardware from DSD recorder manufacturers Mytek, Band of Horses mixed the record in the band's hometown haunt of Charleston Sound. As a result, Band of Horses: Acoustic at the Ryman is one of a mere handful of non-Classical/Jazz albums mixed and mastered in the DSD format, capturing the ragged magic of an unforgettable performance in dangerously pristine quality. Acoustic at the Ryman will street on February 11, 2014 on Brown Records/Kobalt Label Services. In addition to the standard digital and CD versions, this will also be available on 180-gram vinyl. The album’s release will be commemorated by a 13-date run of special acoustic performances, commencing on February 11. Markets include LA, SF, Seattle, Chicago, Ithaca, Albany, Boston, DC, NY, Philly, and will conclude on March 5 at - where else? – the Ryman Auditorium itself.